A professional quality measuring tape with an ergonomic closed case design, featuring an integral hand grip which allows fingers to be kept clear of the winding lever when rewinding. 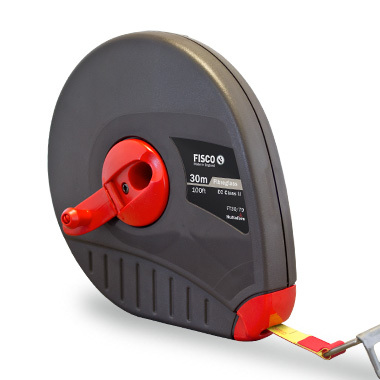 The highly flexible fibreglass tape, accurate to EC Class II, has an additional PVC overcoating, which offers superior resistance to scuffing and marking. 13mm PVC overcoated fibreglass tape, accurate to EC Class II. Distinctive ABS case with an integral hand grip to keep fingers clear of the winding lever. Easy winding, high impact polymer centre. ABS belt clip moulded on to the rear of the case.